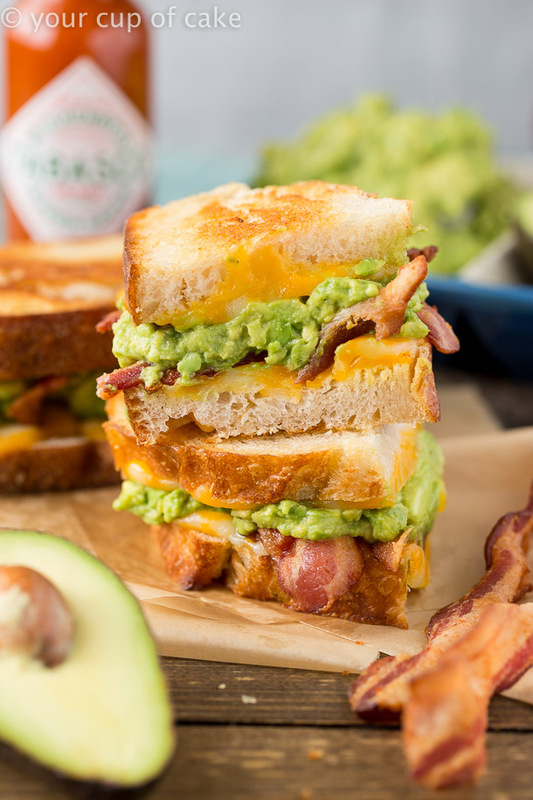 This Bacon Avocado Grilled Cheese Sandwich recipe post was sponsored by Avocados From Mexico in partnership with the Mom It Forward Influencer Network. However, all thoughts and opinions are my own. 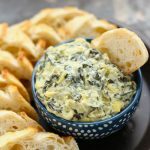 Cheesy, delicious and perfect for everyone! 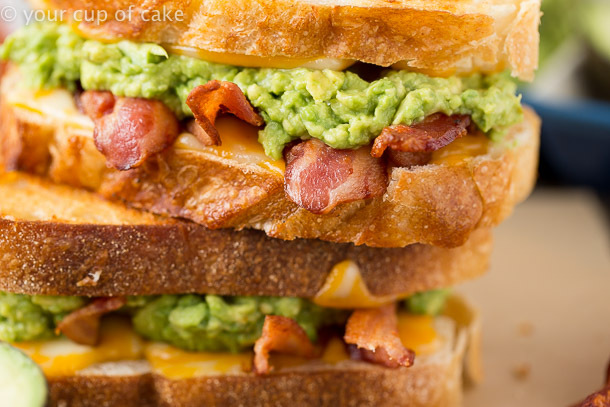 This Bacon Avocado Grilled Cheese Sandwich is the epic grilled cheese you’ve been dreaming of! 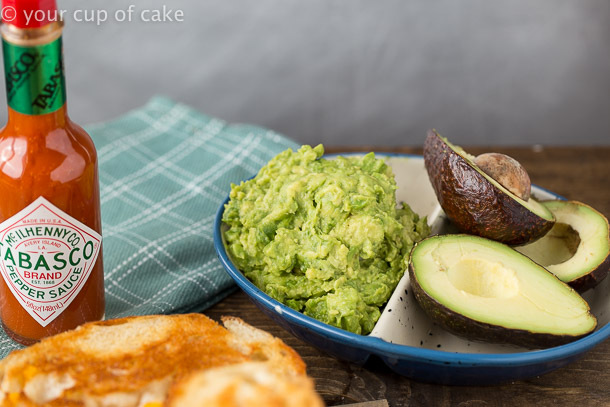 The Big Game is less than a month away and you can’t watch it without Avocados from Mexico! 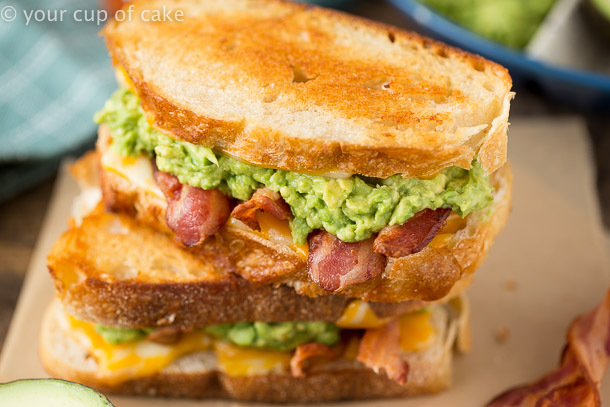 You’ll need guacamole and these over this over the top Bacon Avocado Grilled Cheese Sandwich! 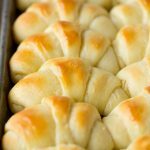 You could even use big slices of bread and then cut them up into little squares to serve a crowd! 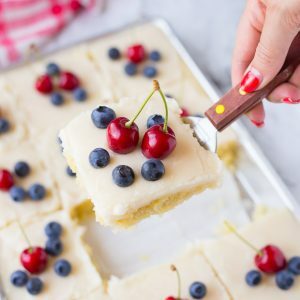 Everyone will love these from the kiddos to the dads to your grandma! 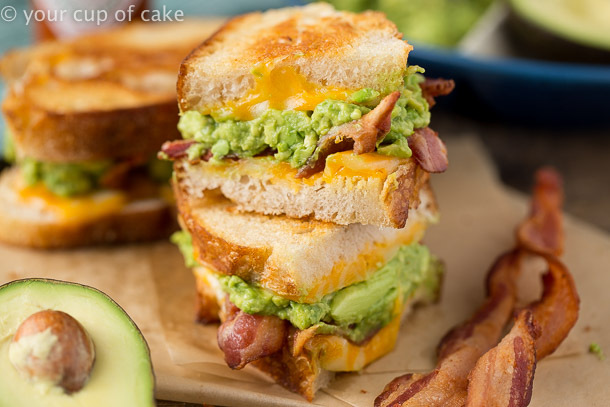 Bust out those avocados and let’s get cookin’! Do you want Guac with That? Yes. The answer is always yes! 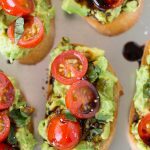 Guacamole is so versatile, it tastes great on every type of food! 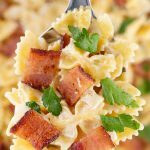 Salads, burritos, with steak, on burgers or toast. It’s delicious! 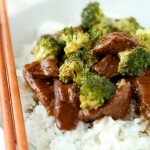 How can you ever resist that green goodness? You can make it simple with salt and pepper or get fancy with cilantro, garlic and red onion. It’s up to you and no matter what, it will be the talk of the party! 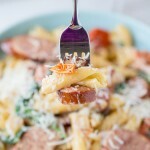 Whenever my husband or sits down for a meal, he always asks for the TABASCO® Sauce. She shakes a little on his eggs, in his asian soup, over his french fries, and of course on his tacos and nachos. He adds it to almost everything! I started to do the same thing and I was shocked how much better things tasted with just a little shake! 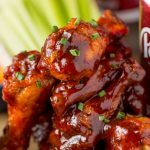 Did you know TABASCO® Sauce is marinated for 3 years in Louisiana in wooden barrels before they make it into that cute little bottle you buy at the store? Wow, that’s dedication to sauce! So what’s in this sauce? 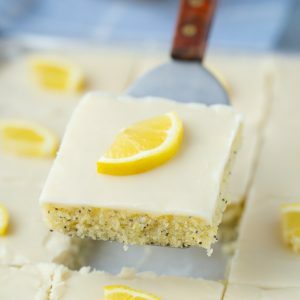 Only three simple ingredients. Tabasco peppers, a little bit of salt and high-quality vinegar, that’s it! 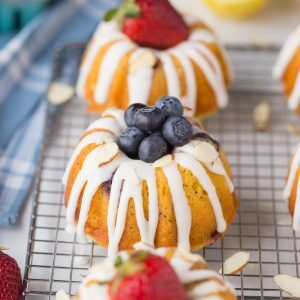 No crazy preservatives or hidden sugar! 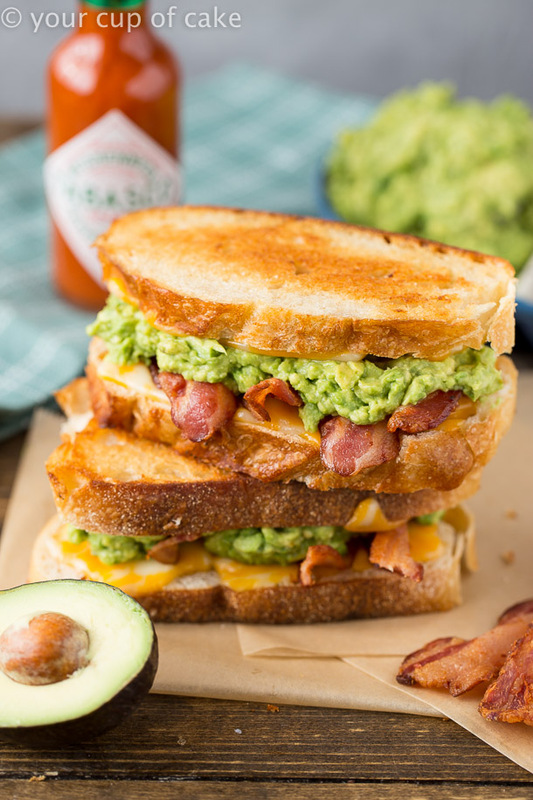 TABASCO® Sauce will Flavor your World and really turns up the volume on any recipe you will make like this Bacon Avocado Grilled Cheese Sandwich! 1. 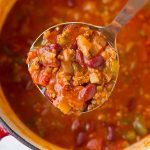 Heat a frying pan to medium low heat. 2. Butter one side of each slice of bread and lay buttered side-down on the frying pan. Place slices of cheese on both pieces of bread and cover pan to help melt cheese. 3. 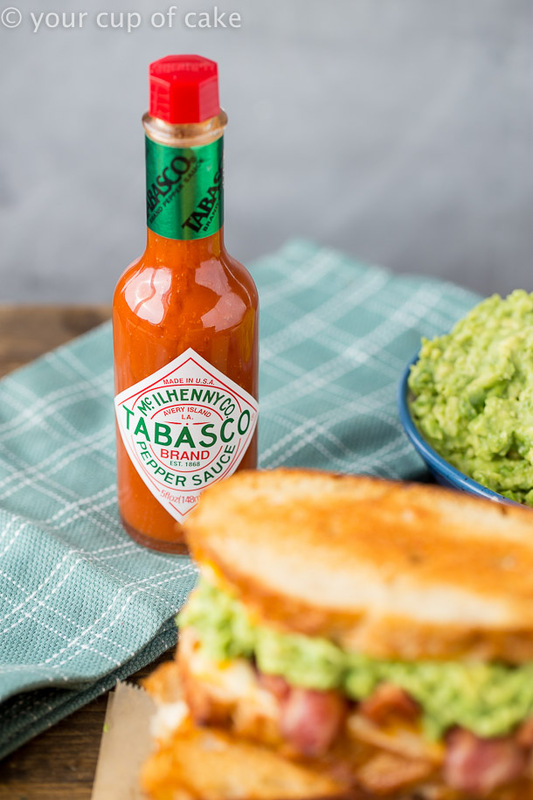 Add TABASCO® Sauce to the mashed avocados. 4. 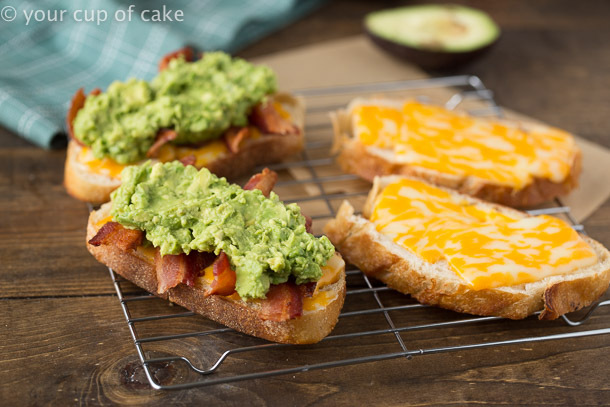 Once the bread is golden brown on the buttered sides and the cheese has melted remove from heat, add bacon and guacamole to one piece of bread. Place other pieces of bread on top to make a sandwich. 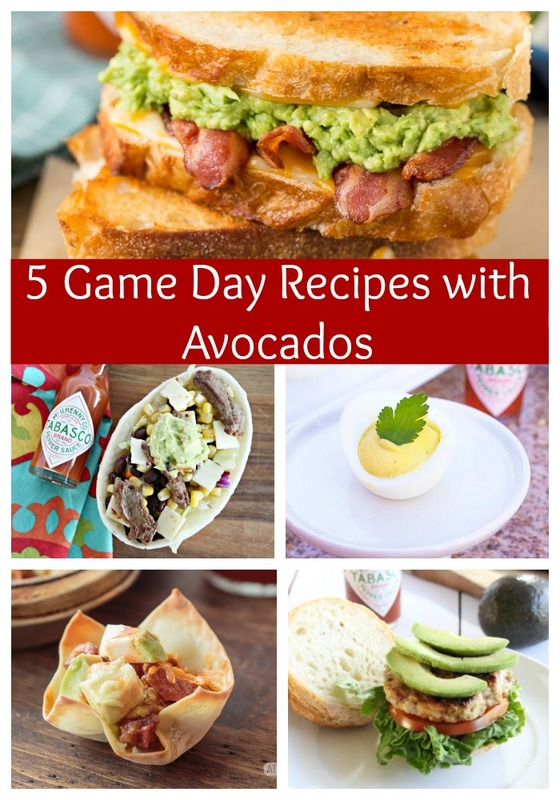 Follow Along with Avocados From Mexico for Big Game Day recipes on their Website and their Game Day Pinterest Board! so delicious love it so much. It looks ideal for my house’s camping this week. 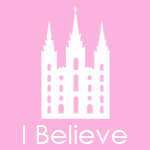 I must do it this weekend. Thank you for sharing delicious sandwich. I was on a trip to Asia, couldn’t find anything with avocado but thanks to you. I made it on my own and it was delicious. 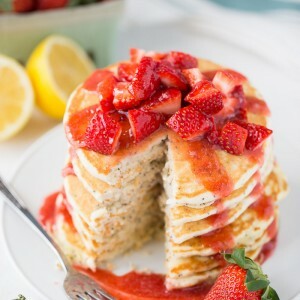 i totally agree with you, it is mouth watering.